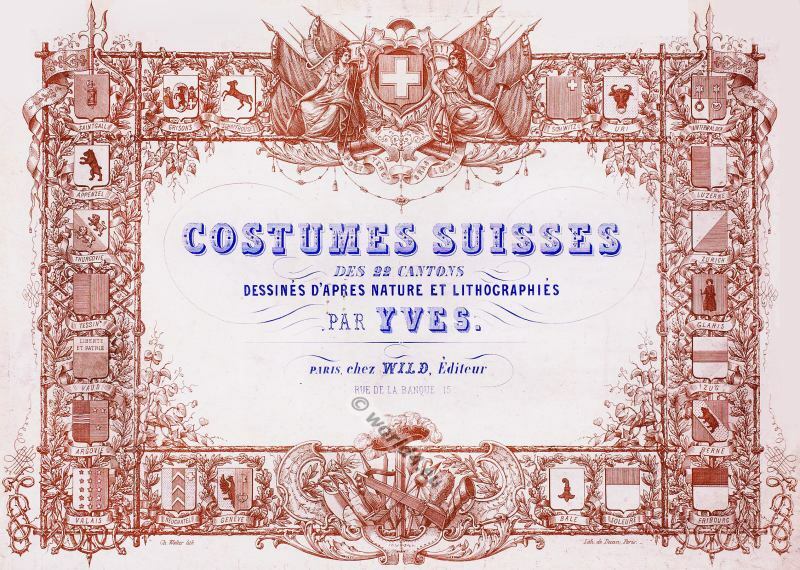 Home » Costumes suisses des 22 cantons. Costumes suisses des 22 cantons, 1860. 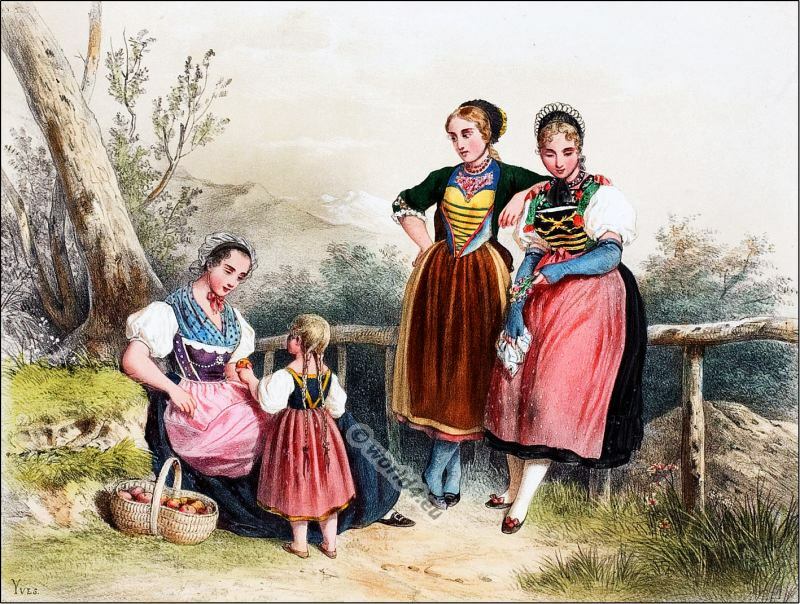 Costumes from the Cantons of Zug, Glaris and Valais. Costumes from the Cantons of Ury and Unterwalden. Costumes from the Canton of Fribourg. 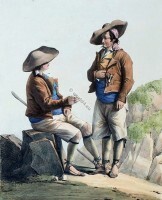 Costumes from the Canton of Tessin, Bale. 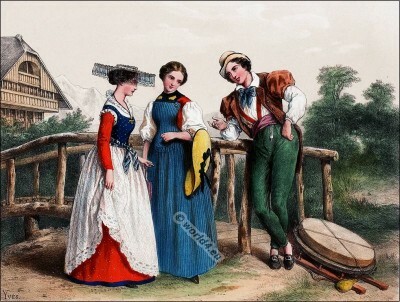 Costumes from the Canton of Geneva. Costume from the Canton of Bern, Gouggisberg. 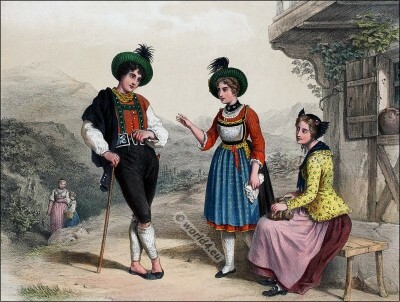 Costumes from the Canton of Appenzelle. 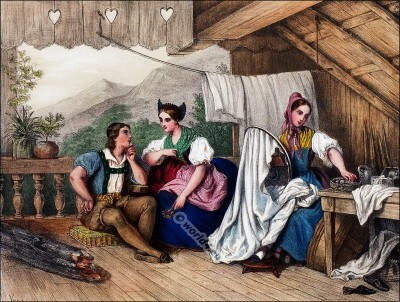 Costume from the Cantons of Lucerne and Schwyz. 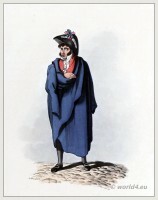 Costume from the Cantons of Turgovie and Argovie. 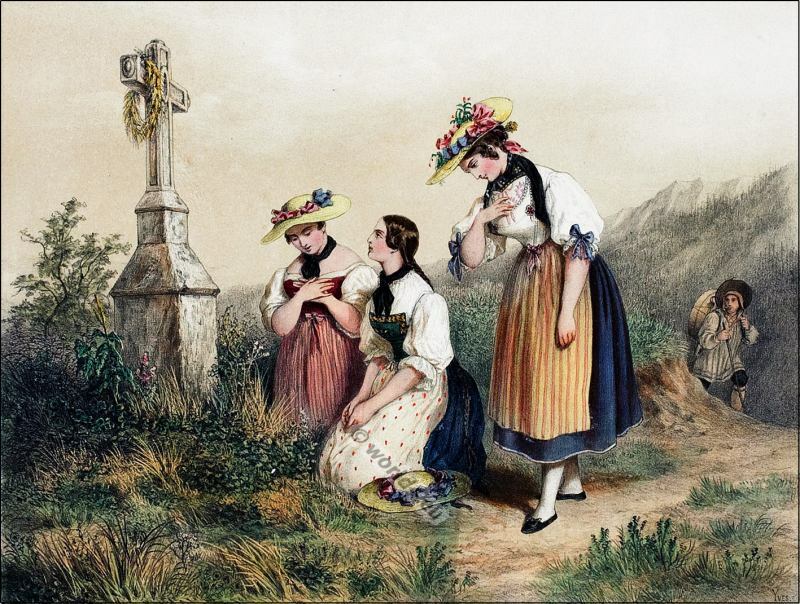 Source: Costumes suisses des 22 cantons. Dessinés d’apres nature et lithographiés et coloriées, par Yves Grether. Paris chez Wild, Èditeur 1860. Swiss Costumes of 22 cantons. Drawn from nature and lithographed and colored by Yves Grether. Publisher: Wild, Paris 1860. 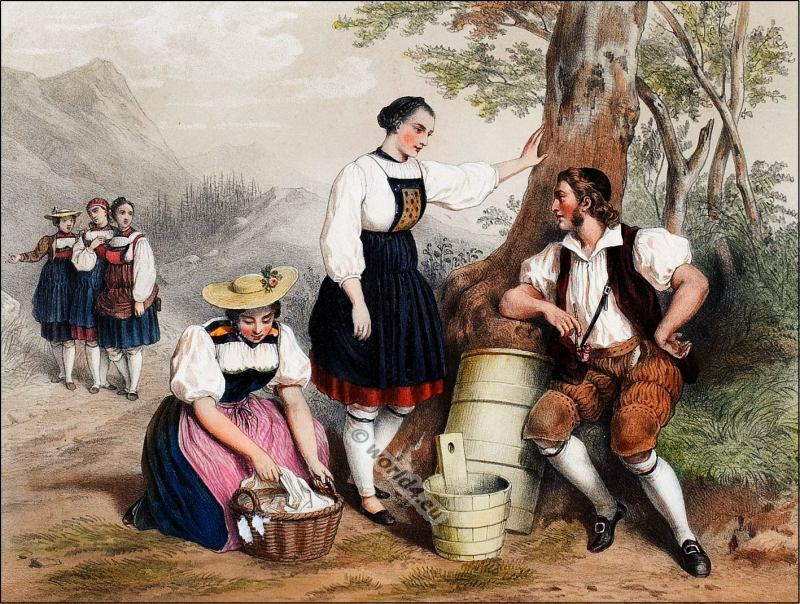 Switzerland costumes of XVII – XIX century originals. 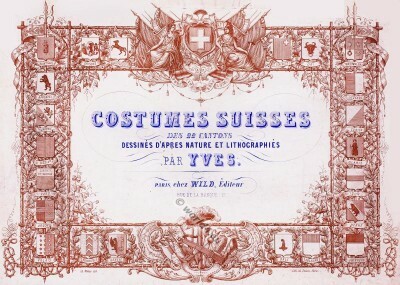 Original recordings from the Swiss costume festival, Zurich 14 March 1896. Women and men from the Canton of Fribourg. 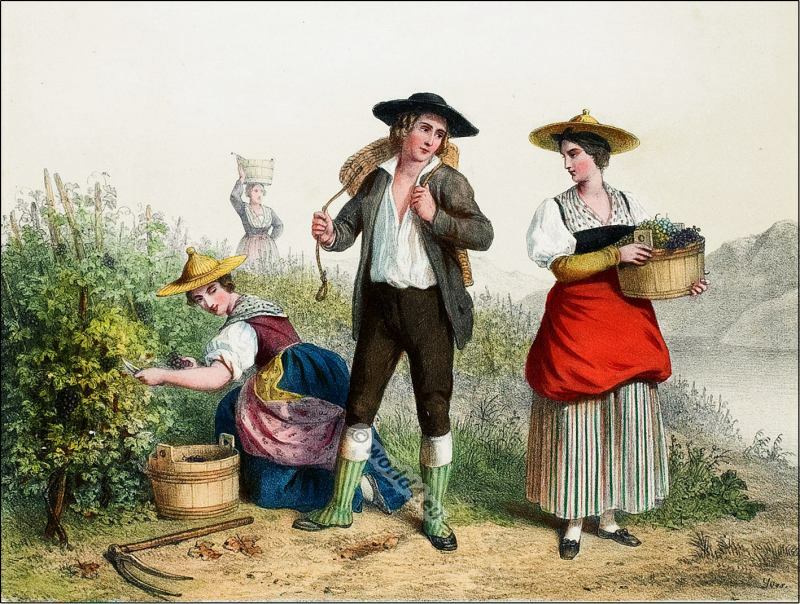 Women and men from Balerna in the canton of Ticino. Women and men from the Canton of Geneva. Women and men from the Bernese Oberland. 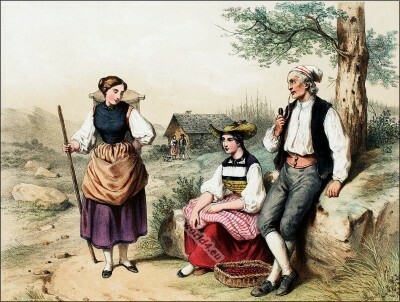 Women and men from the canton of Grisons, canton of St. Gallen. Women and men from Guggisberg in the canton of Bern. 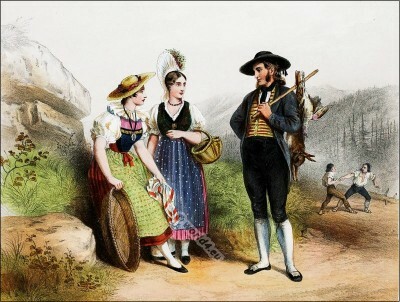 Women and men from the canton of Appenzell. 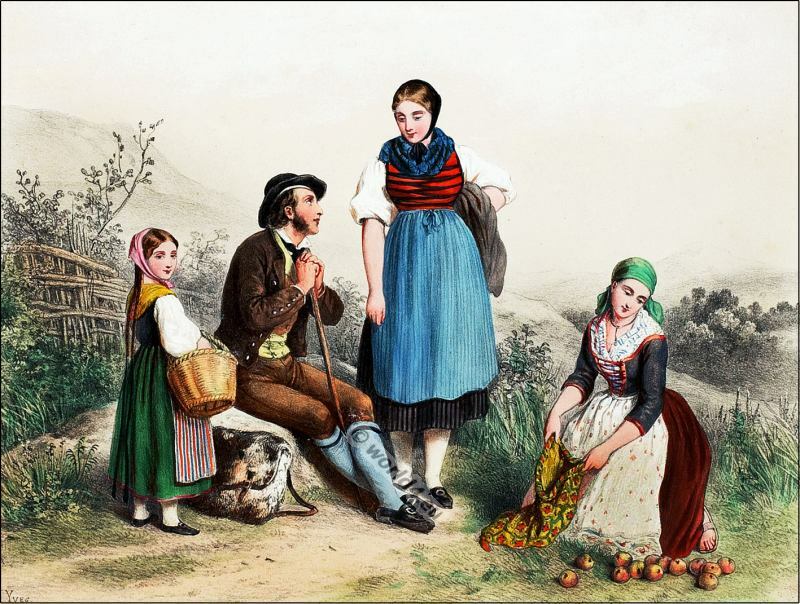 Women and men from the canton of Schwyz, and the Canton of Lucerne. 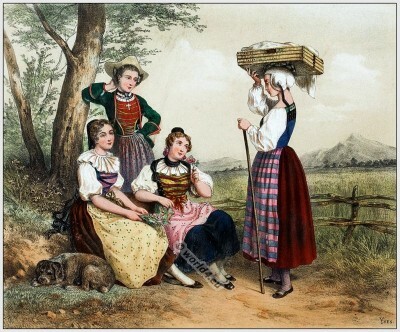 Women from the canton of Aargau and Thurgau. 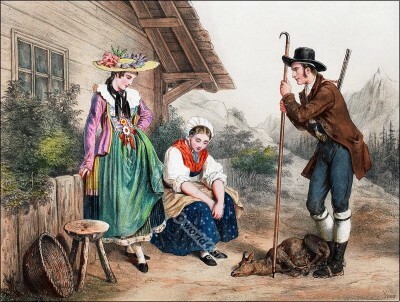 Women and men from the canton of Zurich, Canton of Solothurn, Canton of Schaffhausen. Women and men’s clothing from the Canton train, Canton of Glarus, Canton of Valais. 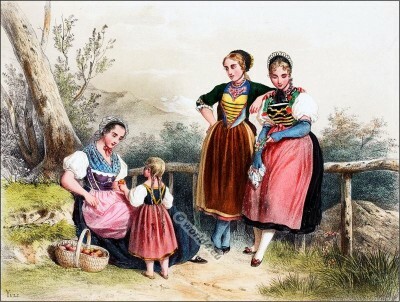 Woman and Children's dress from Hindeloopen.